“Drinking soda is bad for you.” We have all heard that advice at some point- whether it was from a doctor, a parent or while browsing through a health magazine. Soda has been available in the United States since the eighteenth century and it isn’t going anywhere. Historically, soda was created by pharmacists and sold to the public as an energy drink, some containing drugs such as lithium citrate and cocaine. Although drugs have been removed from soft drinks since then, soda negatively impacts the body in several ways. Below are reasons why you should drop the can. Drinking soda can lead to an increased waistline. Did you know that a 12fl oz can of coke contains 39 grams of sugar? Dietician Carey Stites explains, “The American Heart Association recommends no more than six teaspoons of added sugar per day for women and nine teaspoons per day for men. 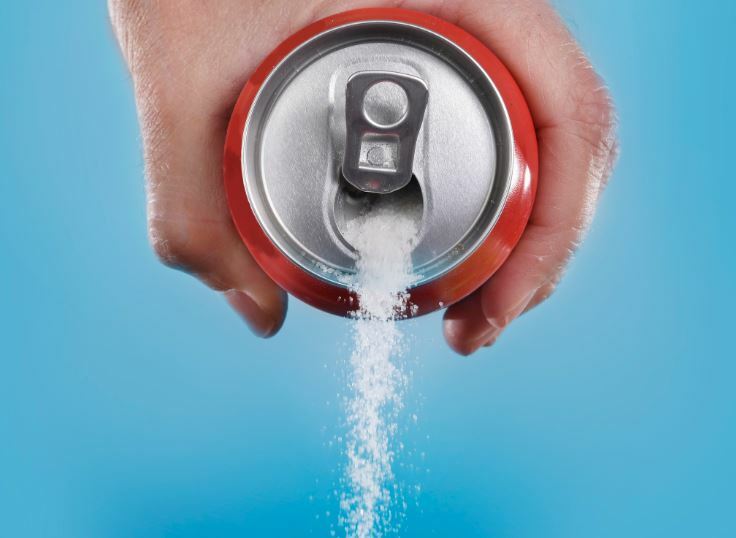 This involves a complete lifestyle change for some as just one can of soda contains eight teaspoons of sugar! Additionally, a Harvard Educational study published research indicating that drinking even one sugary soda a day makes a person 27% more likely to be overweight or obese and increases the risk of developing Type II Diabetes by 26%.” Are you trying to lose weight? Take soda off your grocery list. You don’t see athletes usually chugging a Sprite or Coke on the sidelines- and for good reason! The sugar, caffeine and sodium levels in soda all contribute to dehydration. That “sugar high” feeling ultimately crashes, making you feel sluggish. Instead of a sugary soda, stick to water and add slices of fruit for a burst of flavor! Fruit infused water is a healthy alternative with a vitamin c kick. Have you heard of the saying, “Sip All Day, Get Decay”? Sugary drinks like soda can cause a significant amount of damage to those pearly whites. When you drink soda, a combination of the sugar from the soda and the bacteria in your mouth forms an acid inside the mouth which slowly damages your tooth enamel. Children especially, who do not have a fully developed tooth enamel, are more prone to tooth decay and a mouth full of cavities. Children are exposed to soda on a regular basis because the sugary beverage is available virtually everywhere-snack stands, schools, movie theaters and unfortunately, at home. “This is particularly concerning for children as the increase in sugar intake increases daily caloric consumption which ultimately leads to weight gain. When combined with the decrease in daily physical activity, more children are gaining weight at an alarming rate and escalating their chances for diabetes and cardiovascular disease. Additionally, the empty calories found in soda and other sugary drinks can result in children not obtaining the necessary nutrients required for growth and development,” says Carey.